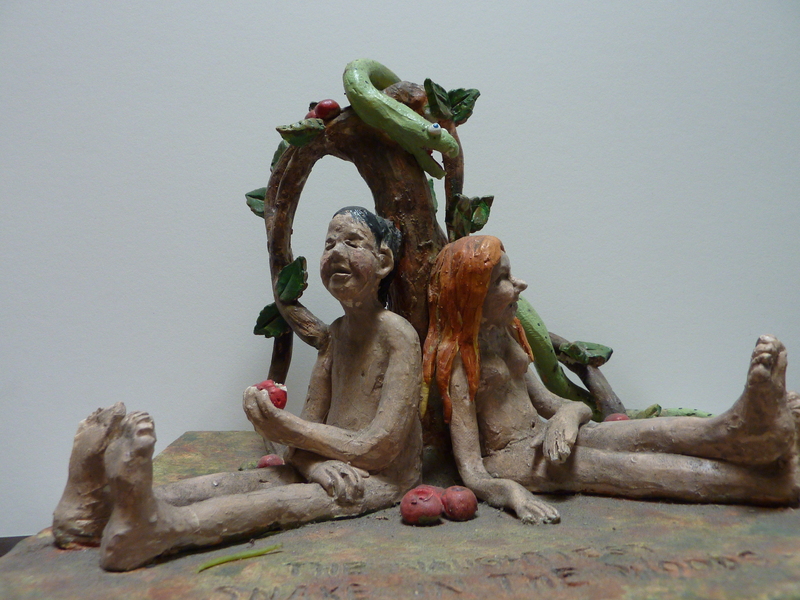 Remember Adam and Eve sitting there under the tree dressed only in their fig leaves? It was when they fell off, that all the trouble began. Adam always impressed me as a rather dull individual, and we all know Eve was the Mother of all wisdom and the Grandmother of all mischief. The story never elaborated about the number of figs they ate, but I guess all that ended with the apple. Anyway, I have written before about my insane love for figs. Black ones, green ones, doesn’t matter which variety. Every place I lived in Southern California when I was growing up, had a fig tree. We planted a Black Mission fig tree and I began collecting recipes for ways to use them. The first year it had a few and I attributed the quantity to its young age. The second year, nothing. I had some good advice (not from Dr. Advice this time) about the care and feeding of fig trees, which I carefully followed. I pollarded it, fed it steer manure and some liquid thing, sprayed it and watered it. Then last year I found exactly one fig. I asked a grandson if he liked them and he said he’d never had one, so I gave it to him. We had a big discussion about keeping it, even chopped away at its larger branches, but decided that even if it was going to be barren, it gave good pleasant shade over a garden bench where we can take a morning cuppa or an afternoon cool drink. It even gave birth to a volunteer sprout three years ago which I planted in a pot, and it has three nicely formed but green figs right now. However the mother tree, though loaded with small green figs the size of almonds, seemed to be a loser again this year. Then yesterday morning my neighbor, knowing my love for the fruit of his tree, brought me a nice basket of his Kadota figs. Still recovering from our flu bug, I ate them all. Today joy reigns supreme. My dear and thoughtful husband climbed the tree yesterday afternoon, and handed me down a small basket of the little darlings, with the promise of more to come. They have been dragging their little heels, but apparently the time lapse between small green, and large, black and juicy is a mere blink of an eye when they get busy. Anybody want a fig? I may be sharing soon! I’m roasting some today with honey and freshly ground black pepper to garnish a pork roast. I dragged myself to my computer and found from Cheri’s blog that she is tooling along the lonely highway 50 eating chocolate chip cookies and taking beautiful pictures. Two other blogers are raving about their chocolate chip cookies, and the local newspaper ran half a page on recipes for them. What on earth is wrong with the humble oatmeal cookie? I made dozens of cookies of all kinds for lunchboxes when my children were growing up, and dozens of them were oatmeal cookies. I think even Cheri may have eaten some. They were called Cape Cod Oatmeal cookies from the Betty Crocker cookbook someone gave me for a wedding present. I forget who. And then some years ago my daughter came up with another recipe which is not only better than mine, but to add insult to injury it is called “Better Than Mom’s Oatmeal Cookies”. With mixer running gradually add dry ingredients to butter/sugar mixture until thoroughly combined. Drop by tablespoons, 2 inches apart, onto cookie sheet, flatening each mound slightly. Bake 8-10 min. for a soft cookie, 12 min. for a crunchy one. And I have to say I added a handful of chocolate chips to the batter as well, so there! Then with a handful of warm cokies and a cold glass of milk, I returned to my book and my bed. Sad to say that Dr. Advice never even missed me. Broke and heedless when young, not so broke and somewhat more careful in our present lives, we’re mostly invisible to the young who are battling their own storms. We have reached the stage of life where ambition, like promuiscuity, is most pleasant when experienced vicariously. Case in point: I can’t remember the last time in my life I found myself truly fascinating. Don’t laugh. That is sad stuff. You should be able to look in your mirror and see someone you might at least like to get to know. Of course today my nose is red and dripping, and I feel miserable. I could blame my cold on the plane ride, because I have been known to catch every germ known to man on an airplane, but I prefer to think it is because of all the people I kissed at my youngest daughter’s wedding last weekend. Much nicer to think you caught it from people you love instead of fellow passengers you will never see again. But this is supposed to be a guide to aging, for which I am well qualified, due to my long adulthood. If you think someone you know has not faced adversity, you simply do not know them well enough. Everyone has something and it is likely to be worse than yours. At any rate, no one likes to listen to all your aches and pains and medications. I can’t stress that last part too strenuously. Old people love to tell you about all their nicks and bumps. Just smile and change the subject. If you receive an invitation, even if it is to accompany your husband/wife to the gas station, GO! And if you don’t get invited anywhere, go by yourself. Try not to miss out on Life, the dance is over too soon. Very good advice. Practice charming, or at the very least congeniality. Lastly, never miss an opportunity to say I love you. It’s Fall, and Northern California is ripe! 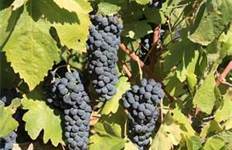 California wines are noteworthy, and this year looks like a bumper crop. Driving through the Napa Valley or the Santa Cruz mountains, the somewhat overpowering odor of fermenting grapes can give you a “high” from the open car window! I’m really not kidding. You don’t even need to pop the cork. When the crush is on, it is like sniffing a vat full of wine with your nose 2 inches from the surface. Well, maybe a slight exaggeration. Wineries welcome you for tours, and the urge to pick up “just one more of that good stuff” can be hard to ignore. It’s beautiful in these parts of the state at this time of year. The grapes hang heavy on the vines, bulging with sweet juice, while the leaves are just beginning to turn color in some vineyards, though not all. To see these even rows leading off into the distance, is a siren call for an artist. Bacchus has been honored in paint and print for centuries. I love the small family-owned wineries in the mountains. We like to grab a loaf of good french bread, a large chunk of cheese, and take off early on a sunny morning ending up at a nice secluded beach along the coast. Perhaps stop at a farm in the Russian River country for some new crop apples dripping with juice, and smelling like they were picked just for you. (Or maybe go to a farm where you canbe the picker. What could be a better fall day? Then shake the sand out of your shoes and drive home. Perfect. Minnie and Mickey got married and joy reigned supreme in the magical kingdom! 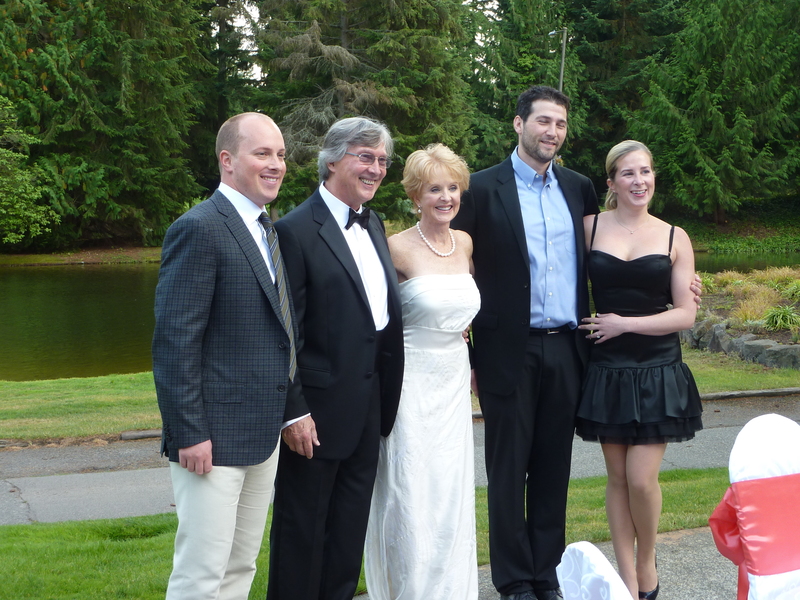 After 27 years of singlehood, raising two fine children and carving out a very successful business career, our youngest daughter Cori, (aka Minnie) was married in a beautiful countryclub setting to Jim, (aka Mickey), surrounded by both families, and over 100 nearest and dearest. As a first date, she invited him to a Halloween party, where they won first prize dressed as Minnie and Mickey mouse, whiskers, ears and all. If a new date can withstand that introduction, he must be a keeper! Cori has a sense of fun which she imparts to everyone she meets. Instead of one “best” friend, everyone she meets feels as if they are her best friend. She is always there for everyone in sickness and in sharing happiness. In Jim , she found a partner who has the same spirit of fun, and with whom she can share her love of travel, skiing, biking, hiking, kayaking, and golf., as well as just sitting by the fire and watching old movies. It was a fairy tale occasion on a perfect evening in the Northwest, and made even more special as one of her oldest friends officiated in the ceremony, incorporating the words of an ancient Native American blessing into the ceremony. 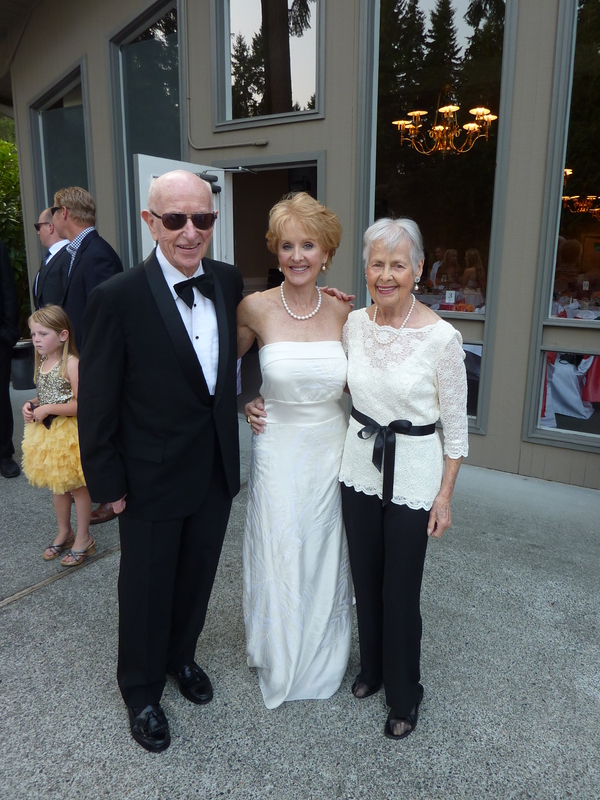 Her sister from Southern California, was the matron of honor, and Jim’s best friend, whom he has known since elementary school, was his best man. Cori and Jim have a special affinity for Hawaii, and friends sent orchid and maile leis which helped decorate the cake table. Hawaiian music played softly during the ceremony. After dinner and a great coconut cake, everyone (including Dr. Advice and I) danced up a storm. I have never felt a such a palpable sense of joy as was being sent forth around a room as it was for Minnie and Mickey’s wedding! Long Beach, California in my childhood was a beach town, an oil town, and a sailor town. The memory of odors is very rich. We lived a few blocks from the beach, within easy walking distance for a child, and the smell of the ocean is like perfume to me. The Pike was an esplanade with rollercoaster, merry-go-round, and all sorts of shops, etc. which led onto the beach, and the smells of hamburgers, cotton candy and salt water taffy beckoned a hungry kid with a dime in her pocket. It was the time of the Great Depression, and if you couldn’t scrape up a dime, you took a tuna sandwich made with lots of pickle relish in your pocket. Oil had been discovered on Signal Hill and aside from the oil derricks decorating the top of the hill, it gave off an unmistakeable scent. The Port of Long Beach has always been an important one, and home to the Navy, and the place from which my father departed and returned frequently. On the occasions when we dined aboard my father’s ship on a Sunday afternoon, I was allowed to steer the shore boat. In our small neighborhood the ice man delivered, and the man who tarred the many cracks in the street came with his smelly hot oil, which if you waited till it hardened, you might steal a piece to chew on. The Red train ran straight up the middle of American Ave. where we lived, and took you to Los Angeles, where my Great-Aunt picked us up. In their great wisdom, someone tore it out some years ago. I always thought it had a distinctive and exciting odor. Maybe it was the smell of anticipation. There were always fresh fragrant oranges, ripe figs off the tree, and a penny candy store which smelled divine. A nickel bought a lot of candy, and there was a dentist right there who gave out sample tubes of Ipana toothpaste, which if you never smelled it, consider yourself lucky. Each morning after my mother tortured my straight hair into Shirley Temple curls with a curling iron heated on the gas stove, and with the smell of hot hair still in my nostrils, I ate breakfast alone and went off to school. My only friend in the neighborhood was Gail Hollandsteiner, whose father was a banker, and who I thought must have been rich because her mother slept late every day, thus allowing Gail to trick the maid into thinking she had actually eaten her breakfast. I tried it at home, but my mother got up early, so it didn’t work. Larraine Day was an early movie star who lived next door to Gail, and we always hoped she could get us jobs in the movies. That didn’t work either. The Long Beach of today has nearly half a million people in its confines, the neighborhood I grew up in is mostly industrial now, and the Pike has been replaced by the Queen Mary as a tourist attraction. Whoever coined the phrase “You can’t go back” was right. ARE YOU AN ACORN OR A CARROT? Imagine an acorn. Well-cared for it will grow into a large oak tree. What it can never be is a carrot. Many people spend their lives trying to be a carrot when their soul-seed is an acorn. Unidentifiable noises reach your ears in the night as the moon makes its way across the sky, and you lie sleepless in your bed. “Oak trees make a lot of sounds at night. There’s a soft creaking sound as the wind puts its shoulder against the oak tree’s trunk and tries to push it down. The wind also hisses through 10,000 leaves and rat-a-rattles a thousand branches and sounds like the squeak of a rusty door hinge when one of those branches rubs up against the side of the roof. Maybe it’s the pitter-patter of a roof rat running along the branches, or the patter of a small mouse or the scratch of a raccoon’s claws on the gnarly bark as it scoots into the large hollow in a dead branch where it sleeps during the day. It could be the “who-who” of a great horned owl calling across the canyon, or the gentle peep of a robin as it chirps in its sleep, or the sudden shriek a barn owl makes as it glides from the oak to hunt for gophers and crunchy potato bugs. It might be the microscopic munching of oak moth caterpillars as they grind the leaves into digestible paste, or an a capella chorus of crickets telling you what a nice warm night it is, or the tramp-tramp of an army of ants as they liberate the last bit of food from a deserted mockingbird nest. Now, isn’t it better to be an oak than a carrot? Think of the wonderful company you can have on moonlit nights. Personally, I’ve never heard any noises come out of an uninspiring carrot. Author kaytisweetlandrasmussen83Posted on September 18, 2012 September 18, 2012 Categories Animals, Garden, Nature, UncategorizedTags animals, creaking sound, moon, nature, oak tree, owl, unidentifiable noises1 Comment on ARE YOU AN ACORN OR A CARROT?